3D printers are now beginning to really take hold among consumers for their home or for their office. The possibilities of what you can design and produce with today's consumer 3D printers are endless and just depend on your imagination. 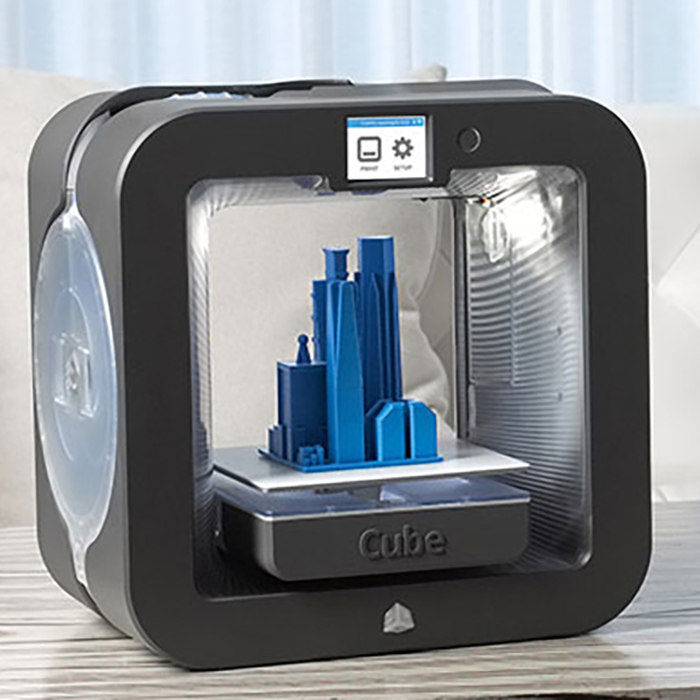 At Marr Office Equipment, we now offer 3D Systems' "Cubify" Cube and CubePro 3D printers, which make it easier, affordable and more accessible than ever before to see your ideas materialize with the power of a personal 3D printer. A small sampling of the products the Cube and CubePro can produce. 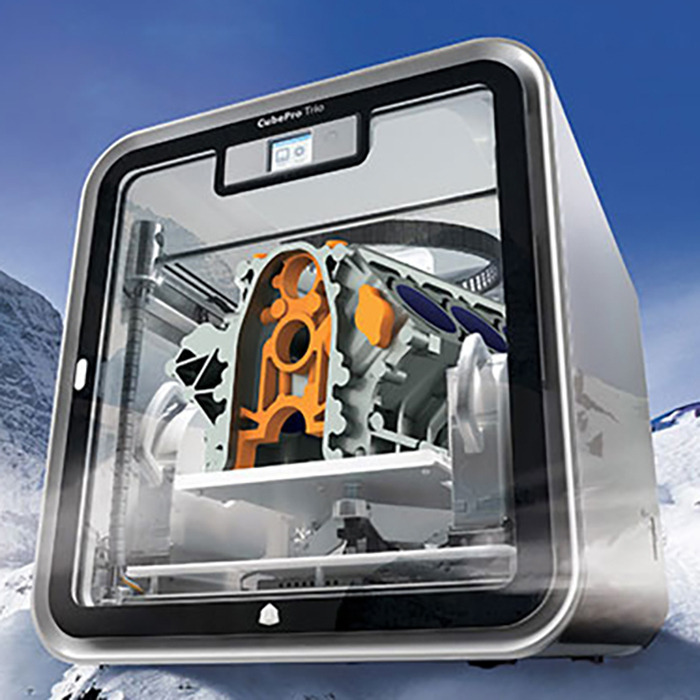 The affordable Cube 3D printer is designed beautifully for your home, and is simple to use, powerful and fast, and kid-safe for everyone to enjoy. With the Cube, you can print what you use. Print what you wear. Print for your home. Print for those you love. Print for your life. And love what you make. The Cube is fun for everyone, and offers certified-safe home printing that invites children to explore their creativity at home, the library or the classroom. Cube is recommended for children 8+ and meets IEC Home Printer Certification 60953 (TUV). And enjoy the freedom of mobile printing direct from the Cubify app for iOS and Android. Find new things to print in the curated brand collections or browse the Design Feed for inspiration to add to your shelf. Prep and print from your smartphone direct to Cube. Make time by saving time with quick set up, an intuitive color touchscreen UI for wireless and on the go printing that is 2X faster than other printers. Work smart, play hard and print productively with the CubePro, powerfully designed to take your 3D printing professional. 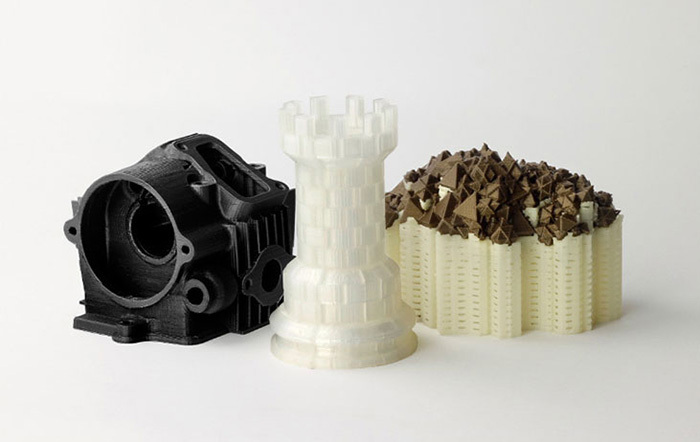 The CubePro does multi-material and triple color printing with super high-resolution at 70-micron layers with ease. Its controlled-climate chamber and largest-in-class build volume bring your prints to new heights, literally. Go pro with CubePro. With prints 2.5 times larger than any other desktop consumer and hobbyist printer (11.2" x 10.6" x 9.06" or 285.4mm x 270.4mm x 230mm), professional quality printing has never been so large or easy. A controlled process environment ensures improved accuracy and reliability of print for effortless, professional quality every time for your largest ABS plastic prints. Automated settings ensure home-safe printing in your mancave, on your workbench and at your desktop. Create functional prototype models or make end-use parts for your engineering applications. CubePro provides guaranteed faster, more accurate prints with stabilized print mechanics and easy feed cartridges for prolonged material life. In addition to the Cube and the CubePro, Marr Office Equipment offers everything you need to get your 3D printing up and running. This includes the Sense and the iSense 3D scanners, design software and devices including the Touch 3D stylus and the Cubify Invent, Design and Sculpt software as well as Cubify’s ABS plastic material Smart Cartridges. The CubePro is great for the professional to create prototype models and end-use parts.